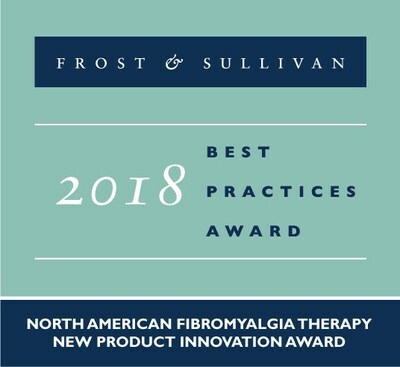 SANTA CLARA, Calif. -- For the eleven million Americans who suffer from fibromyalgia, the search for relief from chronic pain has reached an important milestone—the introduction of a non-invasive, clinically proven technique for increasing physical activity and reducing chronic pain. Among the company's research subjects, the top 75% of subjects experiencing relief gained greater activity levels of over 70% as measured by steps recorded on a pedometer. The device, called the Hummingbird™, works by applying a gentle micro-mechanical vibration which is placed under the plantar (or front part) of the feet. This vibration in turn activates the calf muscles, increasing blood flow throughout the body and significantly relieving the pain and "symptoms associated with diseases such as fibromyalgia, orthostatic hypotension (posture-related dizziness), and poor circulation. The Hummingbird™ is a small, lightweight, simple-to-use device that can be conveniently accessed in the patient's home or office and is generally used for 15-30 minutes once or twice per day.